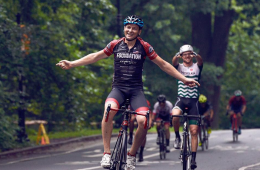 My name is Evan Murphy, and I was on the elite squad that this year, 2014, saw CRCA/Foundation take 2nd overall in the USA Crits team overall standings. Here is a report of how this was accomplished. I would like to thank the sponsors, club riders, and the network of hosts/fans/parents/friends of CRCA/Foundation for providing the support necessary to send a squad out to all the races. Furthermore, if it weren’t for the CRCA itself, promoting clean, safe and team-based bike racing, we wouldn’t have the platform to grow our sport, nurture riders (including myself! ), and develop teams like CRCA/Foundation to their full potential. Thank you and please enjoy this report. We found ourselves next in Charlotte NC, for the Novant Health Crit, (formerly known as ‘Presby’) and weren’t honestly sure where we’d finish up. 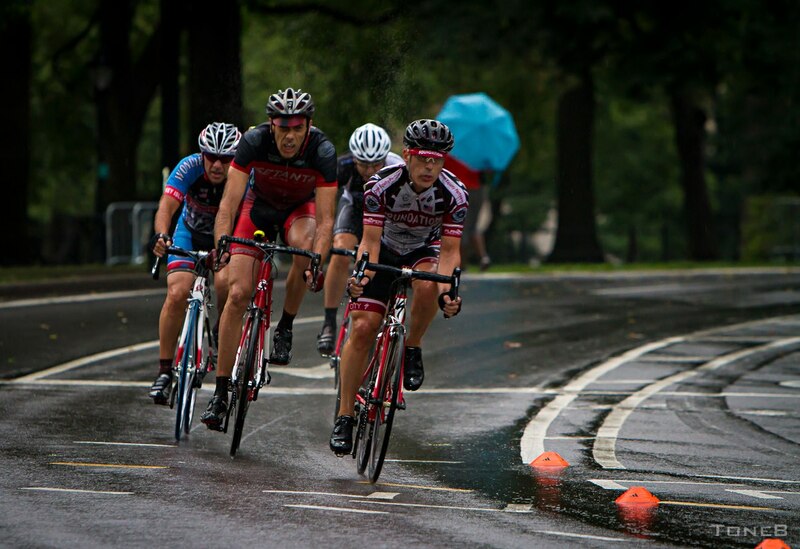 The reason for our uncertainty was that this race was also part of a crit series known as NCC, or National Criterium Calendar. These are the races where the UCI pro teams are allowed to show up, and they also have a required prize purse that’s huge compared to USA Crits. These are several factors that drive the competition up, and our chances for good results down. Somehow, I pulled a rabbit out of a hat and placed in the top ten, with Rafael and Geron up high in the results as well. There was tragedy in Charlotte however; Jesse would get bumped into the barricades lining the course, go down in a traumatic crash and would suffer a broken collarbone. One of our top performers, and a backbone of our crit squad, would be out for most of the season. Not to mention, we were gonna miss his humor and enthusiasm out on the road. Unfortunately, it was not the only loss for the team at this time, as we watched Geron Williams slip out of the red and black of our team’s colors and into the kit of (ex-CRCA) Champion System’s p/b Stan’s NoTubes Professional Cycling team. Geron placed well at all the Speedweek races (a weeklong series hosted by USA Crits in SC, NC and GA) and found himself a spot on a pro team. Sad to see you leave, proud to see you go, Geron! About a week later, our guest rider from the Dominican Republic, William Guzman, would also find a spot with a professional team out of Luxembourg; they were leaving faster than we could sign ‘em! We filled the new gaps in our squad with my brother Kyle, and our 18 year old protege, Juan Pimentel Jr. for a race in Vancouver BC, and Boise ID. With no other plan besides, ‘finish the race no matter what!’ we somehow came out of that insane week of northeastern travel with 25th at Gastown, then Rafael would join us to earn 9th and 13th at Boise, and enough points as a team to move us into 3rd overall. Looking back, I realize now that we were one of the only teams to really make an effort to travel out to those races, which again, in a series that values consistency, goes a long way towards the standings. Furthermore, there’s a certain attitude that comes out of sheer desperation, like, ‘ok guys, it’s on us, let’s make it happen.’ And that we did, made it happen. 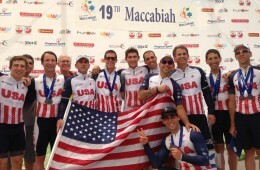 Now that we had a chance at a podium finish as a team, we had something to lose. I’m gonna be honest, lining up for a race is stressful, I’m scared, I’m nervous, but it’s twofold when I know that a result is on the line. The Chris Thater Memorial is NY state’s big banger of a crit; gates the whole way around the course, big prize purse and tons of fans. Especially as this year they moved the course right downtown and changed the time of day for the start–it was officially under the lights, a night race. 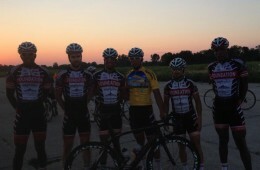 This was also Jesse’s first big time crit with the team since being back from his injury. Within the first five laps I watched as two teammates shot directly to the rear of the race, never a good sign. As I saw Rafael battling near the front, I felt my legs moan and wail as I tried to get near the front to help. As I make it up there, the bell rings for a points prime–something us USA Crits guys go bonkers to earn–and I charge the front with Rafael nearby. Suddenly, a crash! A big pileup, riders everywhere, none of ours luckily. While a few riders used the hesitation in the field to move up, I watch as all us front riders neutralized ourselves, stopping at the start finish line, making safety our priority, not caring what the officials decide. They restarted the race and we sprinted for the points, I earn a few, and feel my legs come around. Rafael tells me he’s feeling good–we could salvage this thing! Honestly, I don’t remember much for the last few laps of the race, there was a large crash with 3 to go behind me that I heard, and there was the usual push and shove of the positioning for the final sprint, but mostly I remember thinking, ‘wow, this is hard, I don’t know if I can keep this up.’ Rafael would finish 13th, myself 18th, and Jesse 29th. As we headed into the Gateway Cup in St. Louis, we were reminded of the volatile and fickle nature of bike racing. A four-race series with the USA Crits final snuck in on Sunday; it was going to take all we could muster to keep our 3rd position. All weekend we would experience crashes, untimely flats, dehydration in the blaring summer sun and relentless aggression from the other teams, eager to hone their form before US PRO Crit Championships the following week. Sunday’s race had a nickname, ‘the hill,’ and was a devilish race within a race. 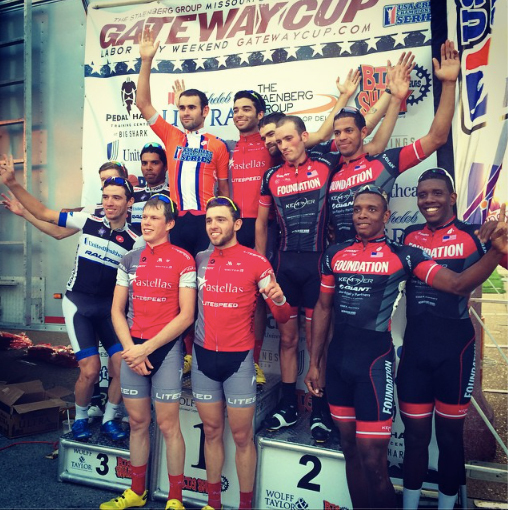 The points earned there would go towards the USA Crits overall, as well as the entire Gateway Cup. But the fickle nature of bike racing cuts both ways and the team that had been leading the series overall for almost the entire year, would find themselves with no results, while Rafael, Joshua and I went as hard as we possibly could to place high. Of course, our prize fighter, Rafael would post 5th, with Joshua and I in the top twenty. Our hard work would pay off as we anxiously sat near the officials tent while they counted points, hearing over the megaphone, “in second place in the team overall, CRCA/Foundation!” These individual results, while not mind-blowingly good, nor mediocre would come to define our season, and be the impetus for our overall stellar success. So, as I said before, performing well, often, is how you find success in a series competition, and we used this to our advantage. Always pushing our less-experienced riders as far up as they can go, and avoiding banging on the hornet’s nest by challenging the top dogs. We were able to slip in, relatively unnoticed, because we chose to be unnoticed. We came away with 5th and 8th overall in the individual standings and 2nd overall in the team standings, something our whole team is proud of. But more importantly, what that consistency really is, is an expression of dedication. While I was proud to lose a few of our best riders to professional programs, I was just as proud to hear our 18 year old, cat 2, Juan, exclaim with pure joy ‘I finished in the top half!’ in Gastown. Showing up to these races scratching, digging and earning every single result, travelling across the country, you learn a lot about dedication. And with that, I can tell you, CRCA and Foundation are dedicated 100%. Next year, let’s get 1st team overall. ← That is 1,2 and 3!